The Android faithful may be getting their hands on the company’s next mobile operating system sooner than anticipated. If true, we should expect to see the launch of Google’s Ice Cream Sandwich as early as October. The latest Android rumor comes from BGR who has been tipped off by “a source with knowledge of Google’s Ice Cream Sandwich plans”. Although no solid information is given on the source or the new OS, the rumor does seem like a logical move for Google. It's widely believed that Apple will be releasing the iPhone 5 in either September or October. Google would seemingly want to combat this release with something new and shiny of their own, and Ice Cream Sandwich could be just the thing. Furthermore, the original Motorola Droid was launched in October 2009. If you still use that phone, your two-year service agreement would expire this October, potentially just in time for the iPhone 5 or an Ice Cream Sandwich device. Ice Cream Sandwich was announced at Google’s I/O developer conference in May and is described as a combination of Gingerbread and Honeycomb. The OS will work across all Google devices, bridging the gap between tablets and smartphones. 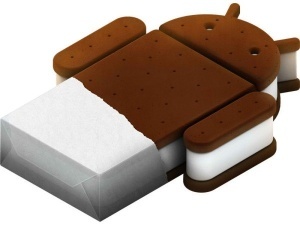 Samsung is expected to manufacture the first Ice Cream Sandwich smartphone, codenamed Nexus Prime. Early reports indicate a Super AMOLED HD display running at 720p with an OMAP 4460 processor inside. Other rumored specifications include a 4G LTE radio, 1GB of RAM, 1080p HD video capture and playback, a 1-megapixel front-facing camera, and a 5-megapixel rear camera "delivering class-leading image quality in addition to superior low-light performance."